The alloy glass stones are designed with arch back, easily access to your finger nails or fake nails, and make your nails in different styles and more shiny. 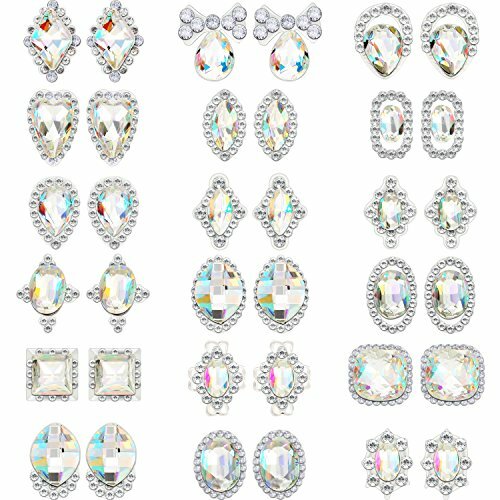 The package includes 36 pieces flat-back rhinestones in 18 different styles, meets your various demands. Clean the surface of your nails, brush the base with polish, and place the rhinestones on your nails with tweezers (Tweezers and nail polish are not included). Suitable for salon or home use: fits for natural and false nails, suitable for applying on the top of the nail polish, nail gel, etc.